The Troop Quartermaster is an appointed (non-elected) cabinet leadership position. This Webmaster is responsible for maintaining the troop web site. Keep records on all troop and patrol equipment. Makes sure equipmentis in good condition as well as being clean when issued & when returned. 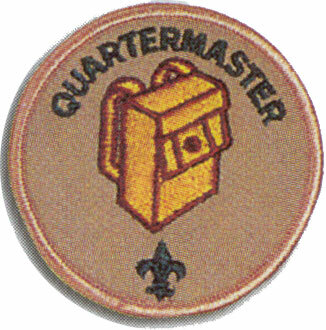 Works with the adult quartermaster responsible for equipment. There is no minimum rank for his position.